Rosy Elliott, PCC, MSed is a certified professional coach through the International Coach Federation and has over 10 years of experience providing leadership coaching and development across multiple industries. Rosy is known for coaching leaders and organizations to identify their unique spark, align with their purpose and commit to their evolution. Her style is engaging, fun and challenging--inspiring growth and in-the-bones learning. She is passionate about human potential and the magic that can happen in groups when people are firing on all cylinders. Rosy is certified in team and relationship coaching through Center for Right Relationship (CRR Global) and incorporates a systems approach to team development. Recent and current clients include: IKEA, prAna, International Coach Federation, Philadelphia, Cardone Industries and Endo Pharmaceuticals. Rosy is on the faculty of the Habit Change Company and Maryland University of Integrative Health, both are ICF accredited coach training programs. She also facilitates The Coach Approach --a comprehensive training for managers who want to add coaching to their management tool kit. Kay Stone, MA, L.P.C has worked as a Counselor and Coach for the past thirteen years. After receiving her Master’s Degree in Counseling Psychology, Kay built up her clinical skills as a Licensed Professional Counselor (LPC) working in private practice and doing crisis intervention in several Boulder-area schools. After receiving her counseling license, Kay went through a two-year intensive Life Coach training program and is now a Certified Professional Co-Active Coach (CPCC) as well. Through her counseling and coaching work, Kay developed the great ability to support clients with empathy and fierce compassion to become their best selves in all areas from health to relationships to building a passion-inspired career. Kay has also served as Adjunct Faculty for several colleges and enjoys teaching a great deal. She has used her dynamic instructing and leadership skills to work in the business sector, facilitating skills’ trainings and leadership programs for companies seeking to empower their employees and managers, and create a more value-driven mission/vision for their leaders. Past companies Kay has partnered with have included the Environmental Protection Agency, National Jewish Medical Center, Bradford Head Restaurant Group, and prAna clothing company. Kay has also combined many of these strengths to work as an academic coach and advisor for undergraduate college students. Kay thrives on variety and continues to integrate new knowledge and training into her coaching and counseling practice. Most recently, Kay has been training in systems work to better serve couples, families and teams. 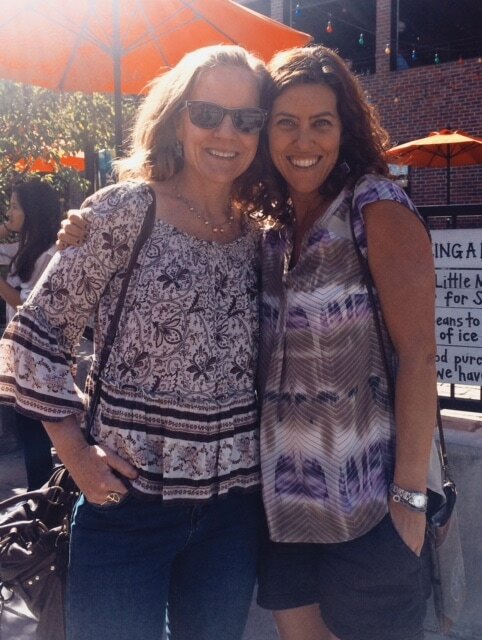 When Kay is not working, she’s running around Boulder, Colorado with her two awesome kids, hiking, skiing, cooking, or maybe taking or teaching a dance class. Rosy Elliott and Kay Stone met at CTI’s Leadership program in 2009. They connected in the speed dating exercise and did their In-Between-Retreats Project together. They have been exploring, honing, listening and creating together ever since.